Tanushree Dutta also talked about how choreographer Ganesh Acharya and Rakhi Sawant have been levelling derogatory accusations on her and how she had relive the trauma that she had been through 10 years ago. 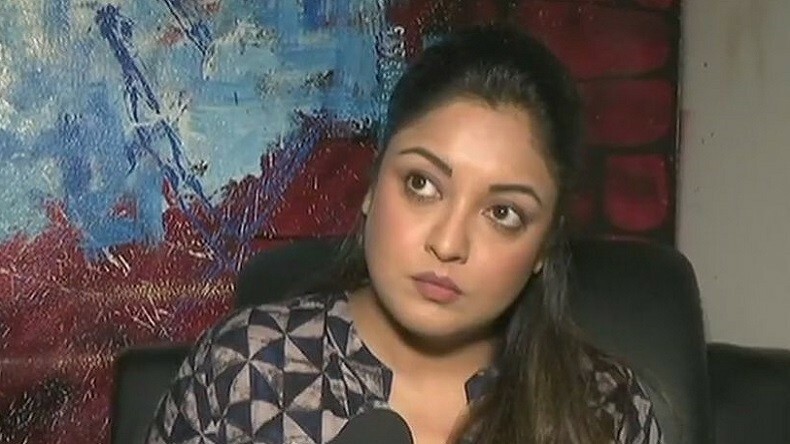 Tanushree Dutta, who has accused Nana Patekar of harassing her on the sets of 2008 film Horn Ok Pleasss, has issued a fresh statement talking about being at the receiving end of extreme judgementalism after speaking about the 10-year-old incident. She also talked about how choreographer Ganesh Acharya and Rakhi Sawant have been levelling derogatory accusations on her and how she had relive the trauma that she had been through 10 years ago. On the other hand, Nana Patekar has refuted all the allegations made against him by Tanushree and said that it was far from truth. She also brought Jiah Khan and Pratyusha Banerjee's suicide into the picture to support her statement published in DNA. "I feel a deep despair seeing the level of consciousness and extreme judgementalism in a country known for its spiritual richness. I am asking how many talented and innocent people like Jiah (Khan), Pratyusha (Banerjee) and others you will consume by your bigotry. How many more need to die before you become sensitive towards others. Hate begets hate and if karma and punishment is the only language you understand then the road ahead will be rocky. Learn your lessons before it's too late. We are in this world to learn and embody compassion and love." The Horn OK Pleassss harassment incident and the mob attack there had sent me spiralling into a deep state of depression in 2008. Although I went on to finish my other projects with a smile on my face, deep inside I wanted to die. The harassment, manipulation, threats, the horrible things spoken about me and the humiliation I had to endure was too much for my sensitive soul to bear." After putting years of hard work to be treated this way was and still is shattering. The attitude of these kind of people and my constant upstream struggle in the face of such frequent negativity that I have received made me want to give up often. Few years later Jiah and Pratyusha committed suicide. I somehow lived. This time after I spoke again inspiring many to share their #metoo stories and exorcise their demons out, the same kind of toxic stuff was thrown at me by many especially Ganesh Acharya and Rakhi Sawant who levelled all manner of derogatory accusations on me. Rakhi apologised but only after I questioned her faith and dragged Jesus into the fight. I will always love God no matter who says what."